Holiday season is coming, everyone! We are all excited in this house for all things fall festivals and trips to farms, Halloween and Thanksgiving, My Firefly's birthday, playing in leaves. 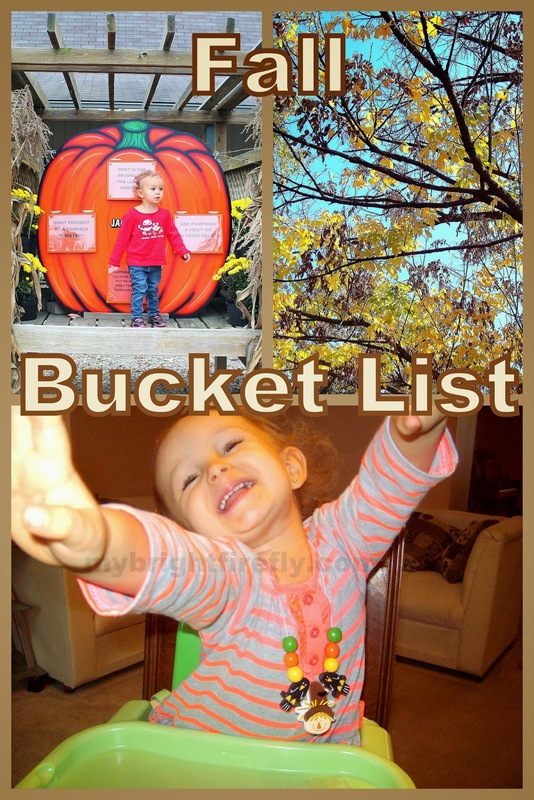 I thought of sharing our bucket list of new things we need to try! 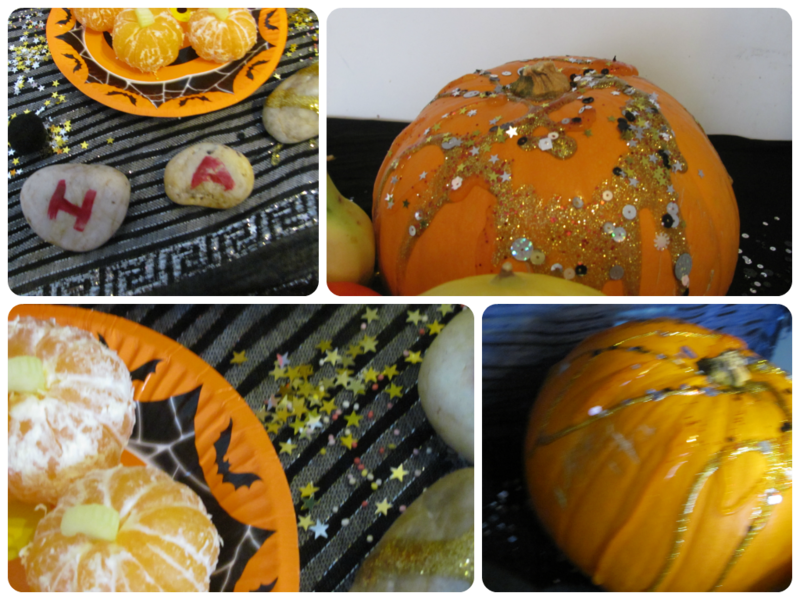 Some decorating ideas here: Spooky Fruit from In the Playroom. 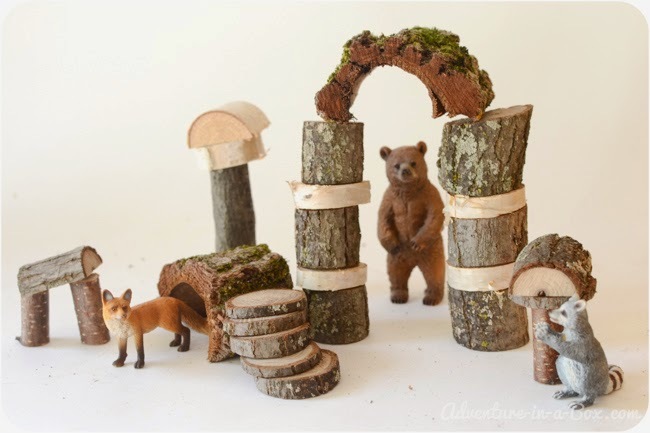 Make nature blocks. Ideas found here: Adventure in a Box. Movie night: Gasper. 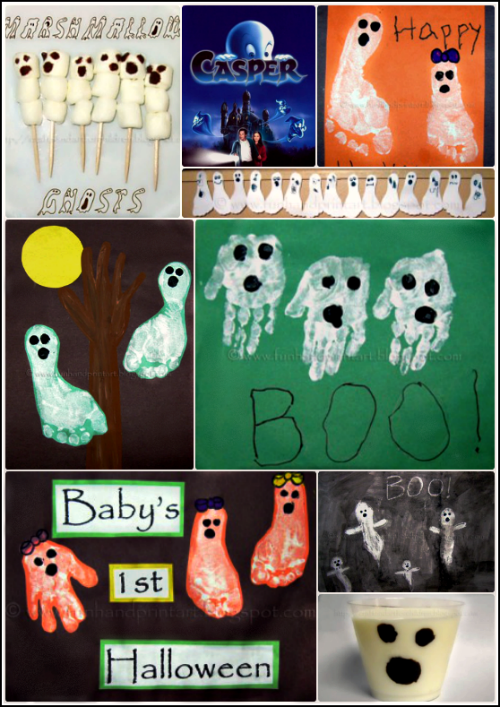 Ideas found here: Artsy Momma. Happy Fall to Our Families!